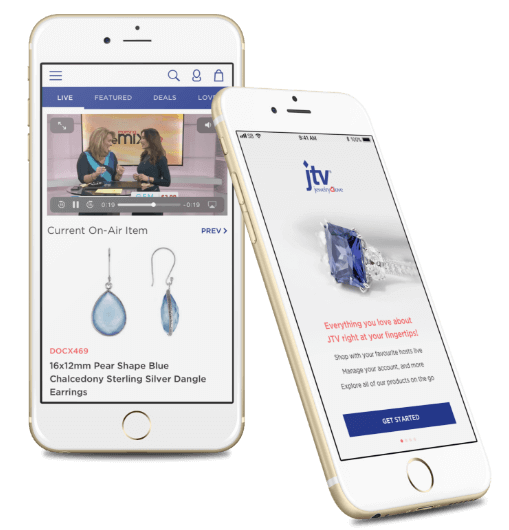 HOUSTON (PRWEB) JULY 17, 2018 : Riversand, a cloud-native Master Data Management and Product Information Management provider, is proud to announce the latest launch of its comprehensive Product Information Management (PIM) solution for JTV (Jewelry Television), the leading retailer of jewelry and gemstones in the United States. On air and online, JTV relies on real-time product information that is not only up to date, but also rich in product attributes, owing to the complexity of jewelry and gemstone classifications. JTV launched Riversand’s Product Information Management (PIM) system just prior to a re-platform of their entire digital web infrastructure, placing the entire product catalog under the management of the Riversand PIM system. JTV has written their entire Enterprise Systems in-house but relies on Riversand for its PIM solution. “The PIM platform is a strategic element of our all-new E-commerce technology stack. It has enabled us to significantly extend the number of product attributes, while at the same time providing the data governance to ensure a more consistent structure to that information. The benefits have been numerous including, improvements in site navigation and the relevancy of our site search results as well as enabling our merchants to better curate assortments with ease,” said Craig M Shields, VP, E-commerce at JTV. Riversand completed the PIM integration with JTV’s internal product team, resulting in their entire product catalog being placed under the management of the Riversand PIM system. JTV’s key platform requirements included the construction of numerous business rules to govern the integrity of JTV’s data, as well as the speed of change propagation to all their digital properties. Riversand cloud-native master data management solutions are designed to support customers’ digital transformation journeys through improved business agility, faster adoption and improved collaboration across the enterprise. Riversand has a vision of helping companies know their customers better, move products faster, automate processes, mitigate risk and run their businesses smarter. Our customers, partners and analysts recognize us as a trusted partner, visionary and a leader. Visit Riversand.com for more information and follow us @RiversandMDM on Twitter, @Riversand on Facebook and Riversand on LinkedIn.